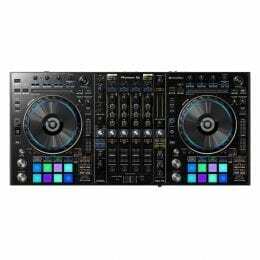 Pro club standard layout with USB/HID/MIDI support. 7-inch color touch display with QWERTY keyboard search. 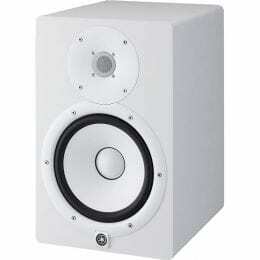 Now supports FLAC and ALAC files. Up to 8 Hot Cues can be accessed through Performance touch screen. 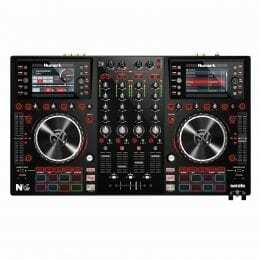 New browse and shortcut buttons from CDJ-2000NXS2. 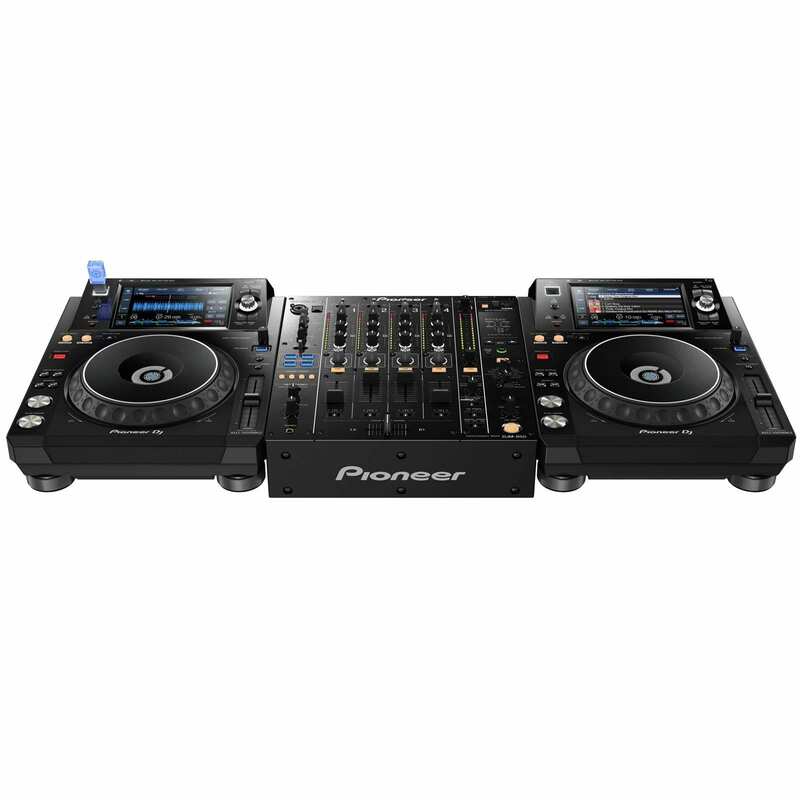 Connect DDJ-SP1 for added tactile control of Hot Cues, Auto Loops, and Slip Mode. rekordbox-ready to give access to more features and enhanced track information. 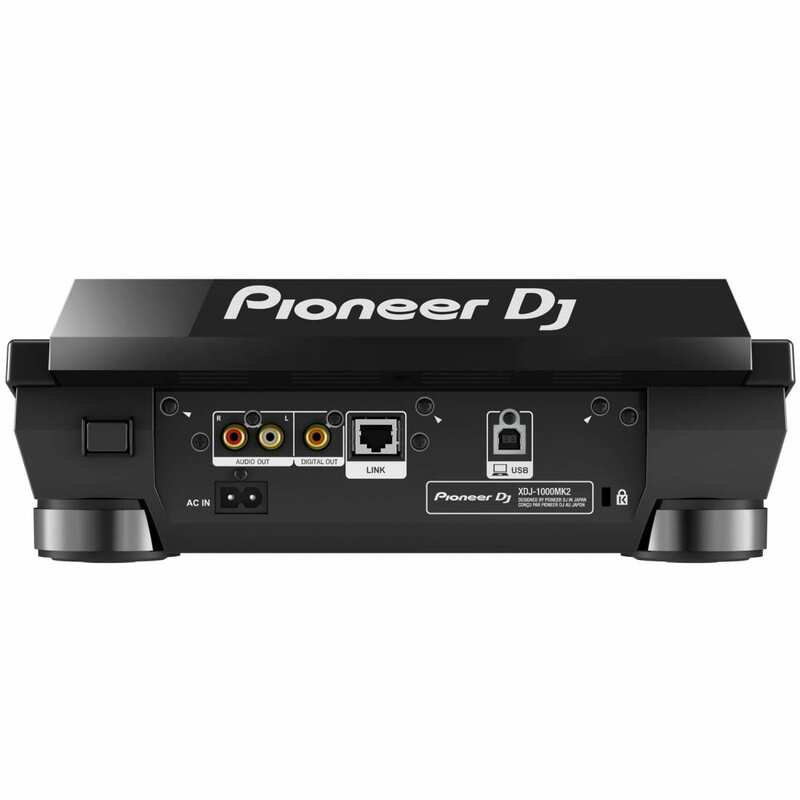 Pro DJ Link to connect up to 4 players and mixer. 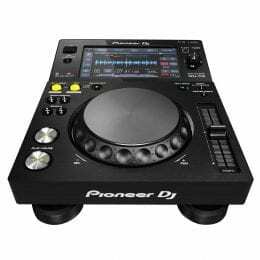 CDJ-style design Equipped with the same size jog wheel and a 7-inch LCD touch screen as our CDJ-2000NXS2, you get intuitive control over your mix. 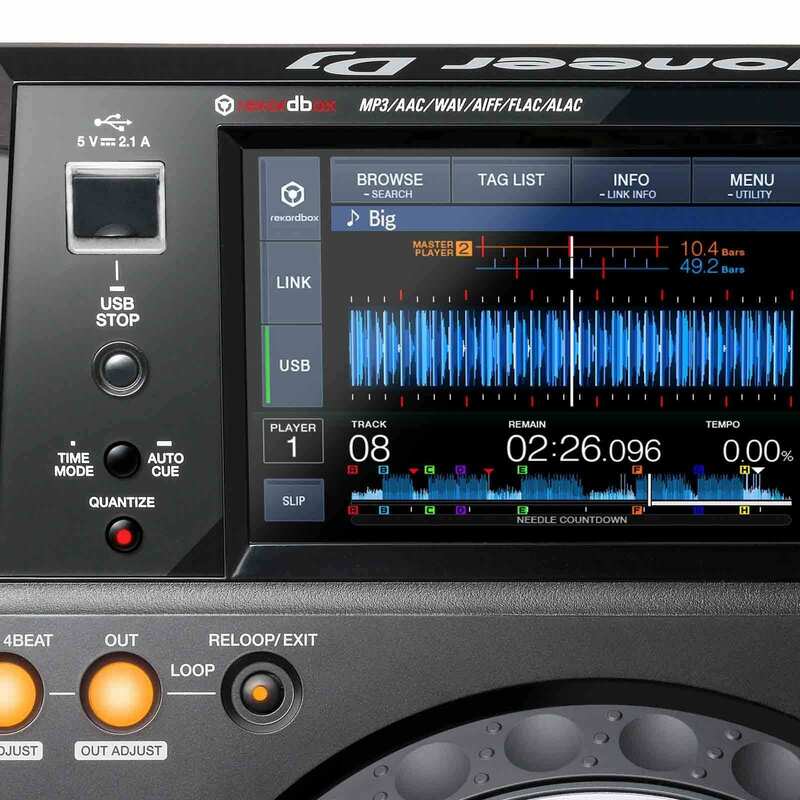 High-resolution audio Next to MP3, AAC, WAV and AIFF, the XDJ-1000MK2 supports high-quality FLAC and ALAC sound formats up to 48kHz/24-bit. 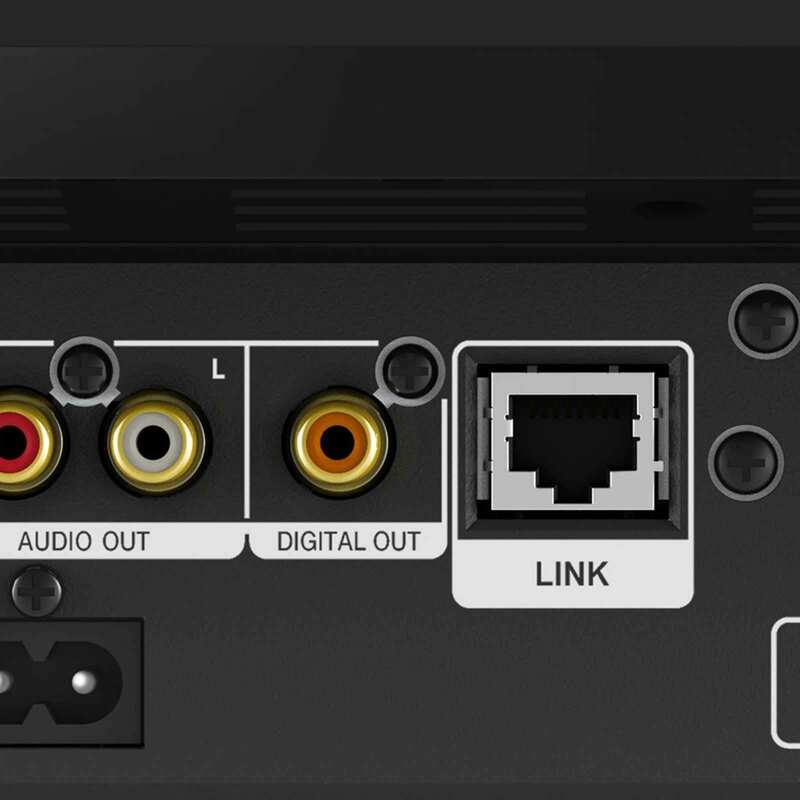 A digital output has been added to send audio without degradation, while the power supply for analogue audio is completely separated from the digital circuit to reduce noise. 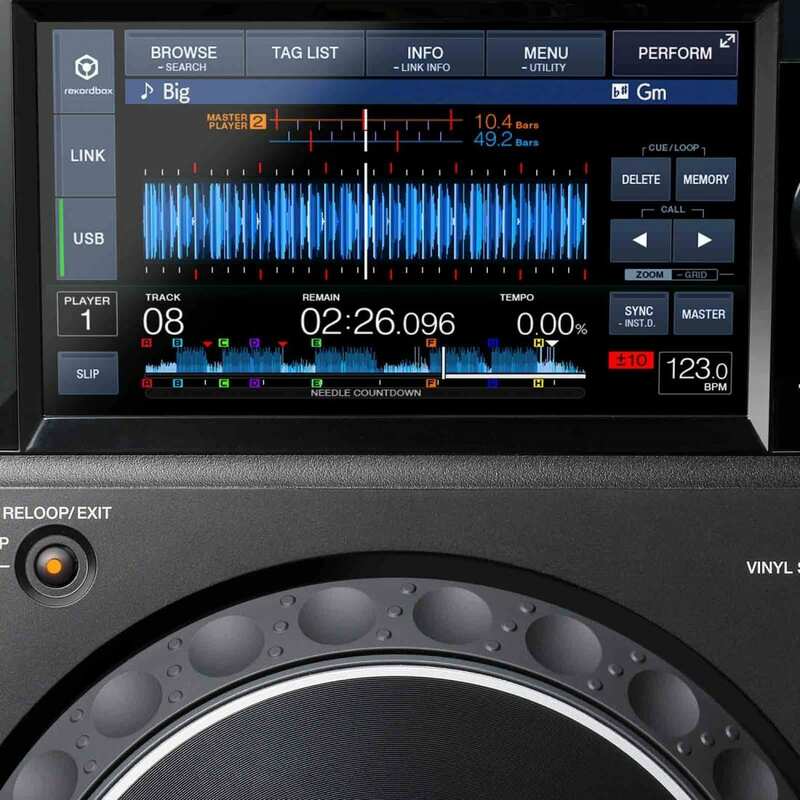 Faster browsing Easily browse your rekordbox library using the rotary button next to the display, or use the Qwerty keyboard to search for specific keywords. 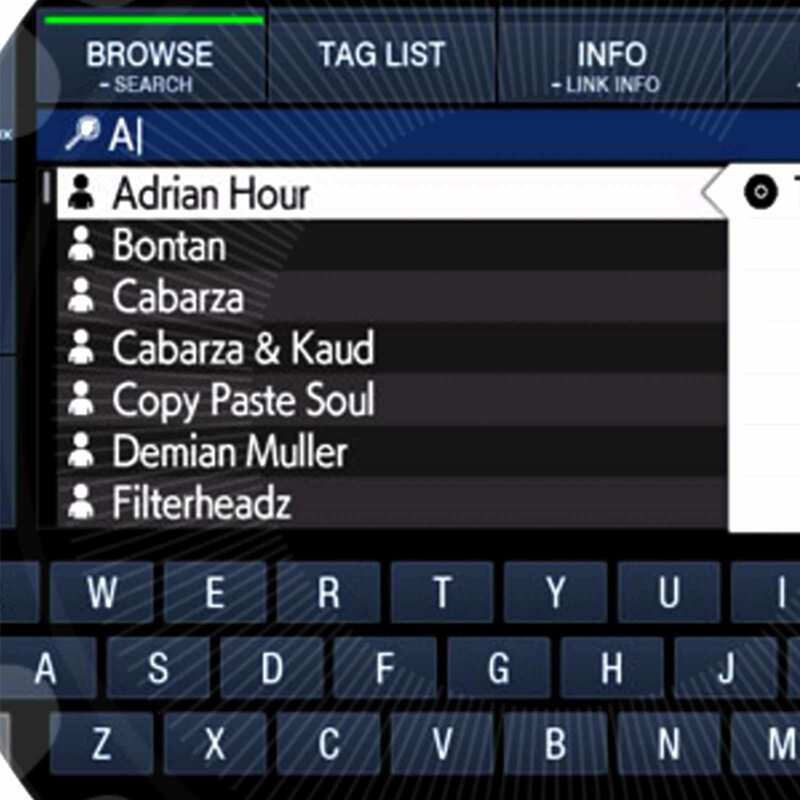 Advanced features such as Matching and Track Filter help you play the right track at the right time. 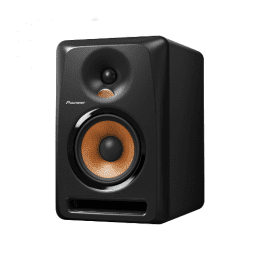 Enhanced performance 8 Hot Cues allow instant playback at a preset point, while Quantize allows you to play cue and loop points in time with the music on tracks that have been beat analysed in rekordbox . Use Beat Jump to jump backwards or forwards 1, 2 or 4 beats from the current playback position. 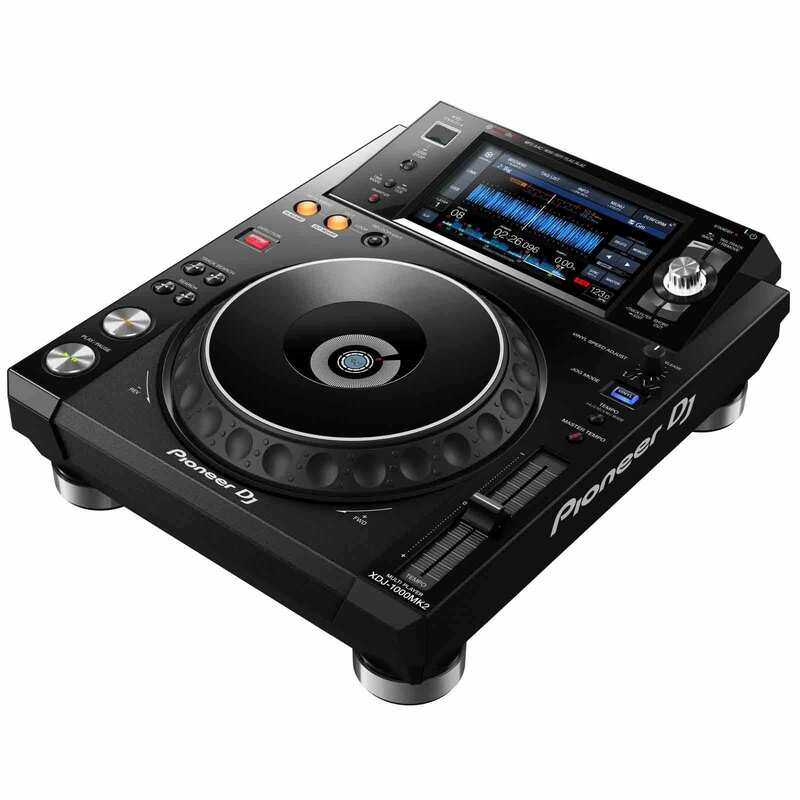 Add a DDJ-SP1 Add the DDJ-SP1 to your set-up and access even more performance features. 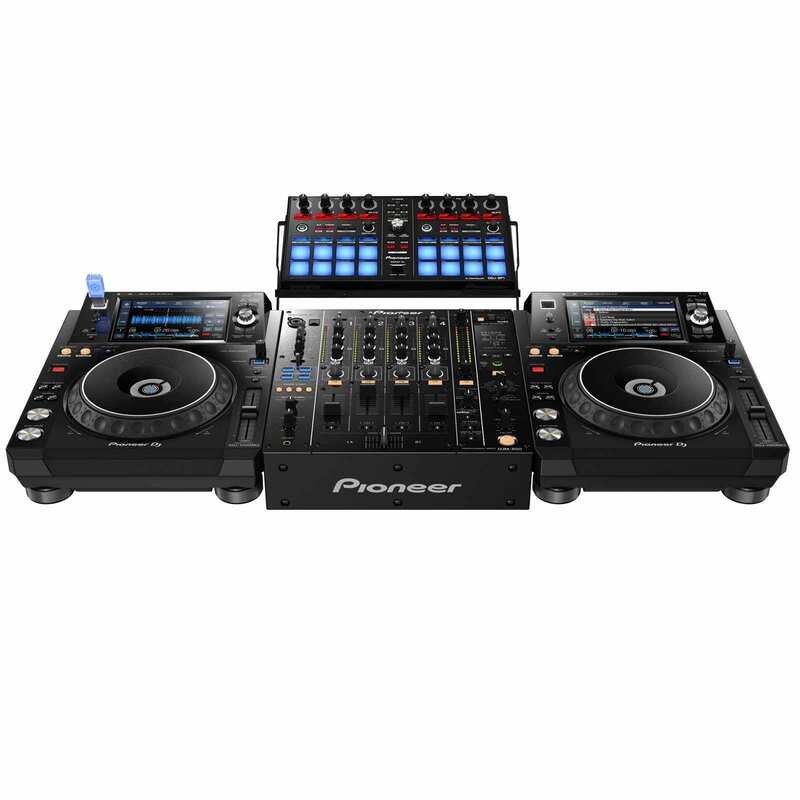 Simply plug in a USB cable and control up to 4 XDJ-1000MK2s using Pro DJ Link. Be prepared Fully compatible with our free rekordbox music management software to help you manage your music, prepare tracks and deliver a smooth performance. 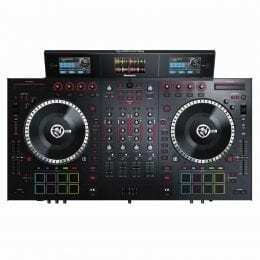 rekordbox dj You can use this product to control rekordbox dj performance software. 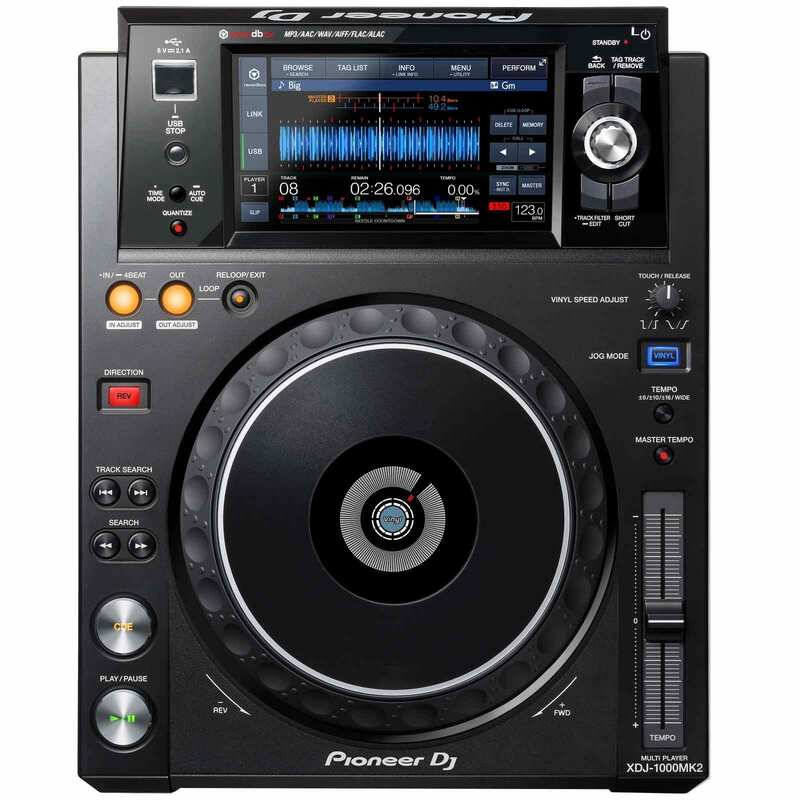 rekordbox dj is a rekordbox Plus Pack that unleashes performance features including Hot Cues, Sampler, Slicer, Sound Colour FX, Beat FX, Beat Jump and Pad FX. Take a short cut The shortcut button gives you direct access to Browse mode and My Settings on the player’s touch display. Set, name and colour-code your cues in rekordbox, for example ‘my breakdown’, then access the information directly on the player’s screen. ‘My Settings’ allows you to prepare your system’s setting preferences in rekordbox and save them to USB, SD, smartphones and tablets. 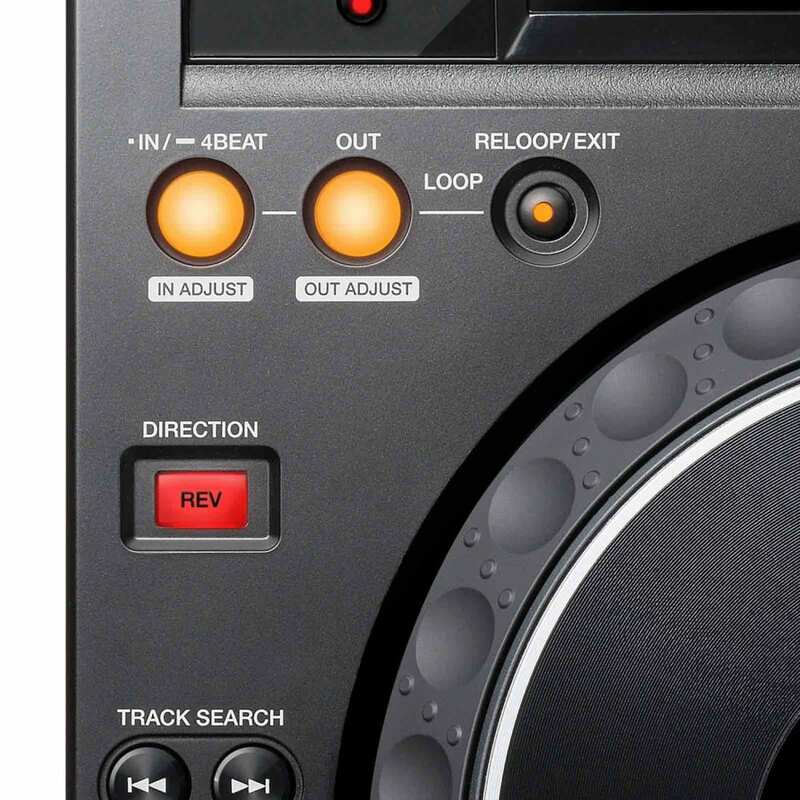 This way you can instantly switch to your own settings when alternating DJs in the booth.